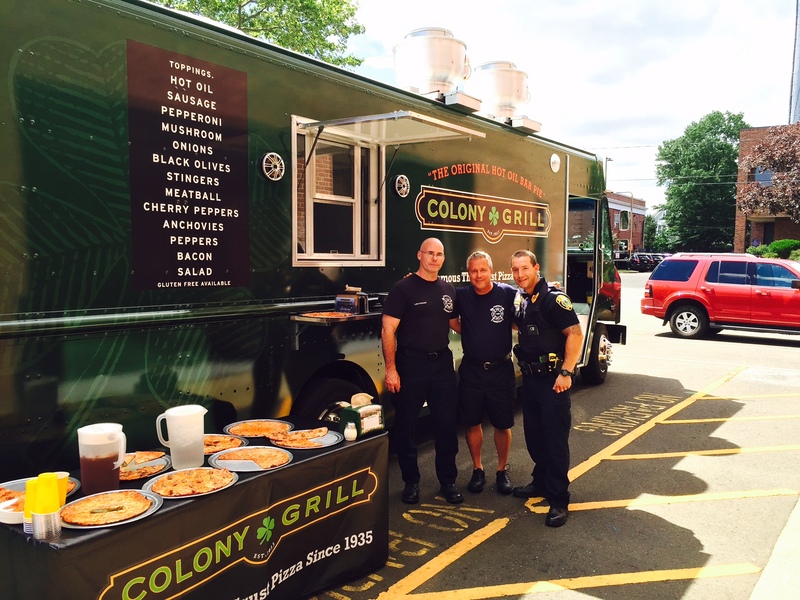 Specific pricing available upon request. Every event is different. Let’s work out the details together! 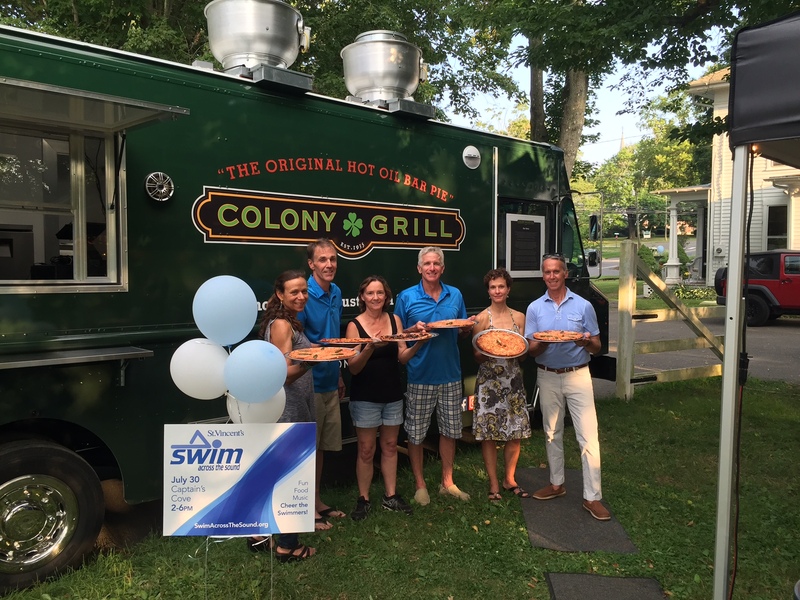 With multiple restaurant in the greater Fairfield County area, Colony Grill is known and celebrated for its thin crust, pepper-infused hot oil pizza. 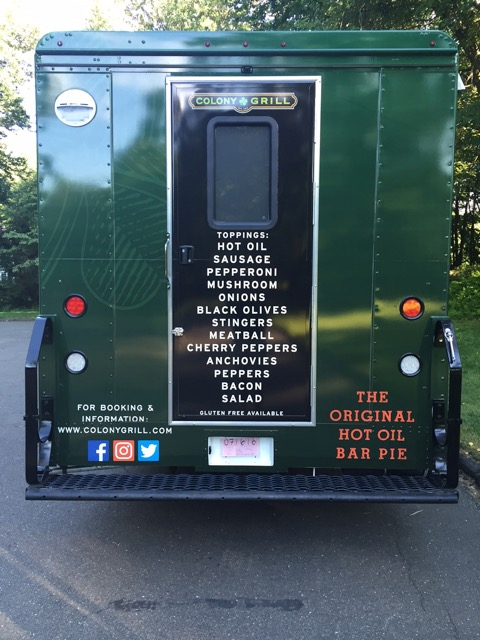 Now you have the chance to have the Colony Grill “Hot Oil” rig at your next gathering by booking their custom-built, fully self-contained, 28-foot pizza truck. 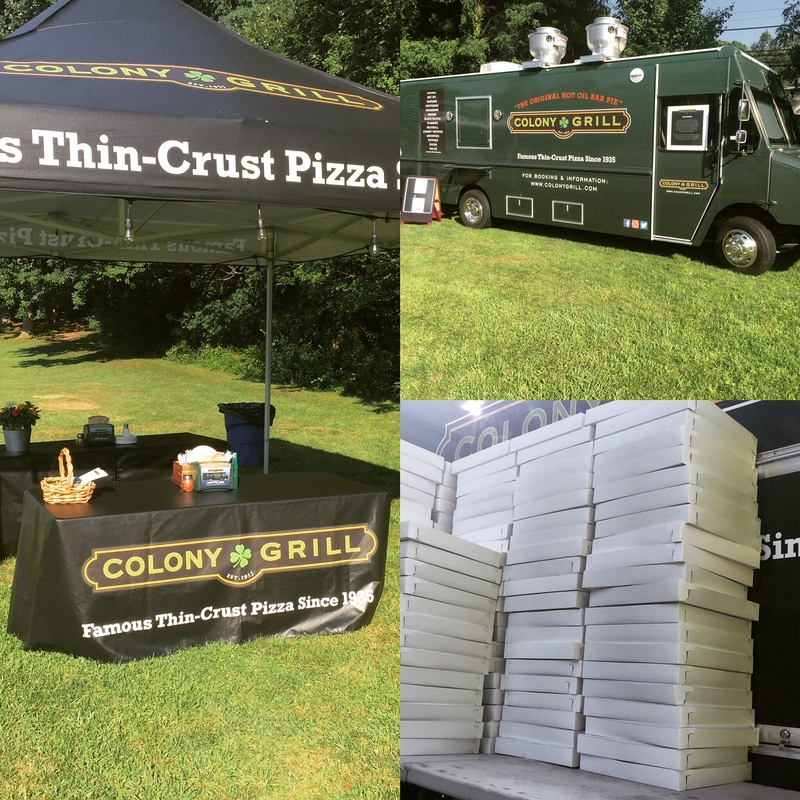 House parties, corporate outings, community events. 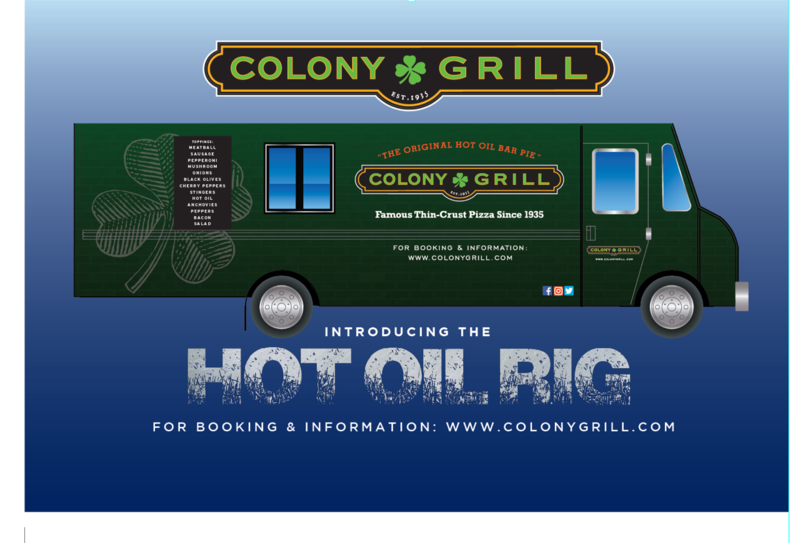 Get your next special occasion in gear with the Colony Grill “Hot Oil” rig!